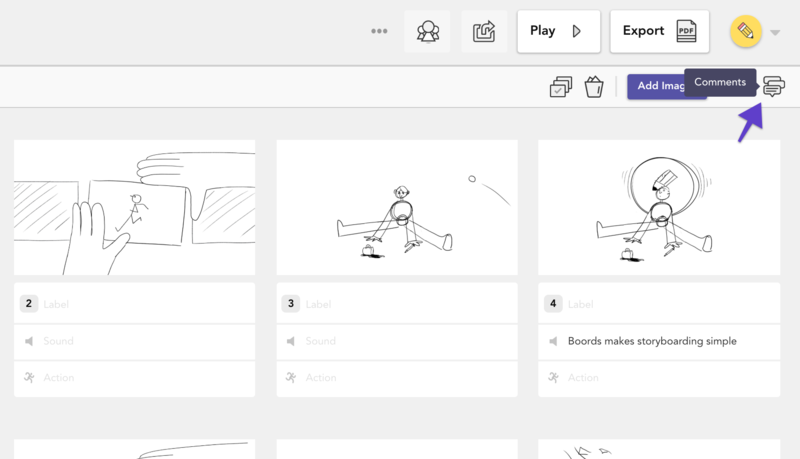 Having teammates comment on your storyboard's frames is a quick & easy way of gathering feedback in Boords. This article will run through how to enable, add, edit & delete comments. 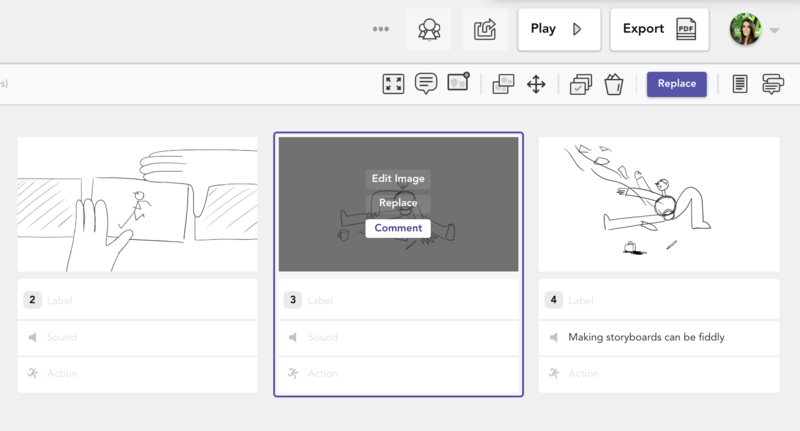 Comments can be enabled or disabled from within the Comments section on each storyboard. 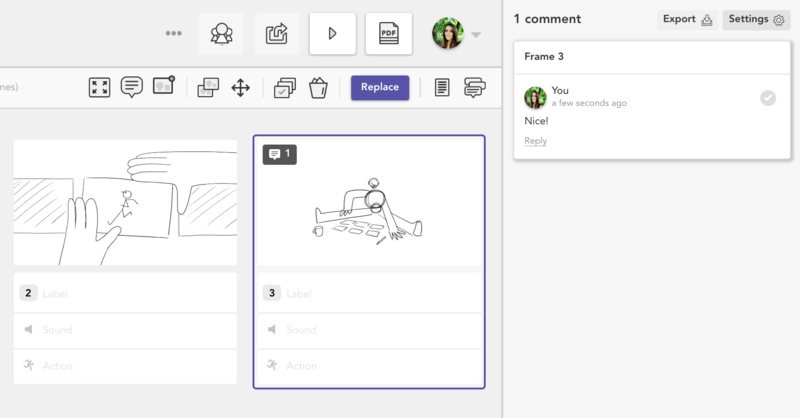 If commenting is turned off, teammates or guests viewing through the shareable link won't have the option to leave feedback on frames. 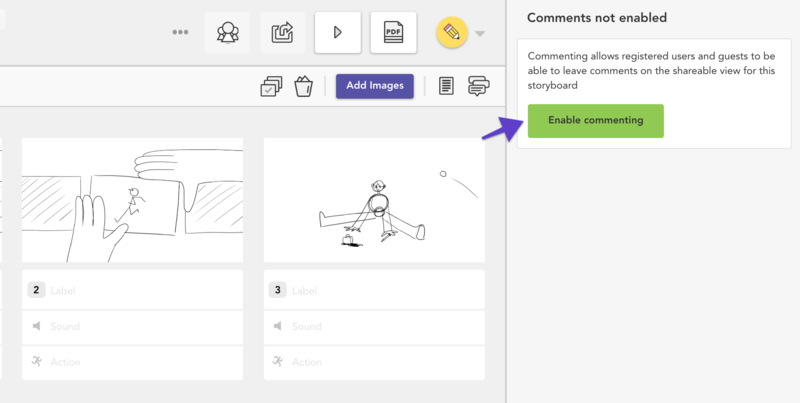 To enable commenting, open the commenting sidebar by selecting the comment icon in the top-right hand corner of your storyboard. Here, you'll see the option to enable commenting. To add a comment, select the frame you'd like to comment on and click Comment. 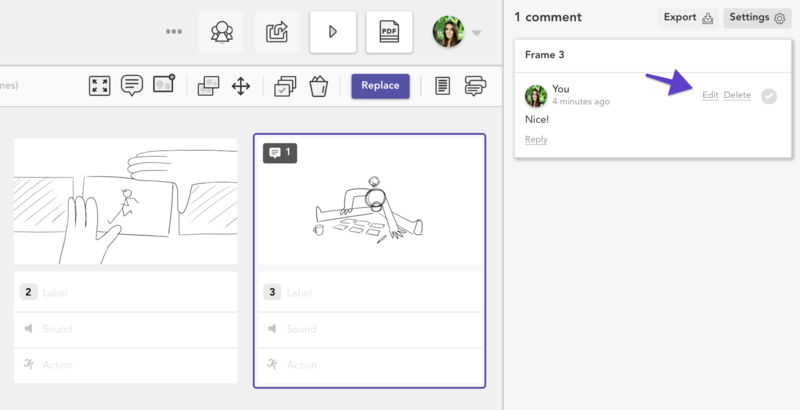 Once it's been sent, your comment will show in the comments panel on the right. To edit or delete a comment you've left on a frame, rollover the comment in the panel bar to uncover the options.